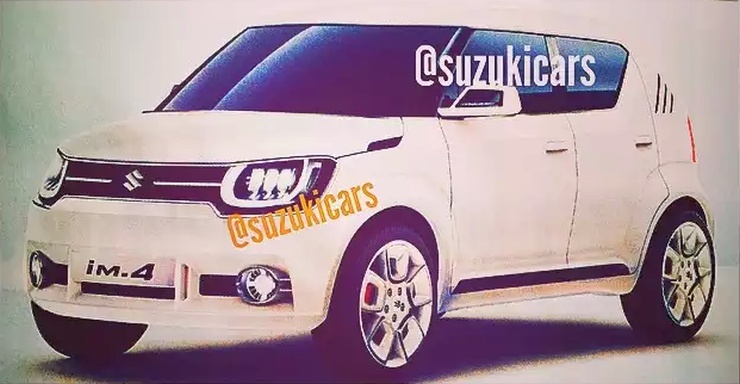 The Suzuki iM-4 compact SUV concept is due for a 2015 Geneva Motor Show unveil. This very concept’s production version could arrive into India as the YBA code-named compact SUV. A leaked image of the iM-4 has emerged onto the interweb, days ahead of its official unveil. The iM-4’s size seems diminutive, giving the SUV a compact, sub-4 meter stance that could be very handy in India, a country whose excise duty structure dictates car design in the compact classes. Suzuki already has Micro SUVs such as the Jimny and the Hustler for markets in the developed world. In this light, the iM-4 seems like a vehicle designed for emerging markets, where the Japanese car brand does not have a solid compact SUV offering. More details about the iM-4 will be revealed in days from now. A high ground clearance, small capacity petrol and turbo diesel engines, and a sub-4 meter footprint are likely for the new SUV from Suzuki. A front wheel drive layout is expected to be standard fare while an all wheel drive layout could be offered in specific markets. 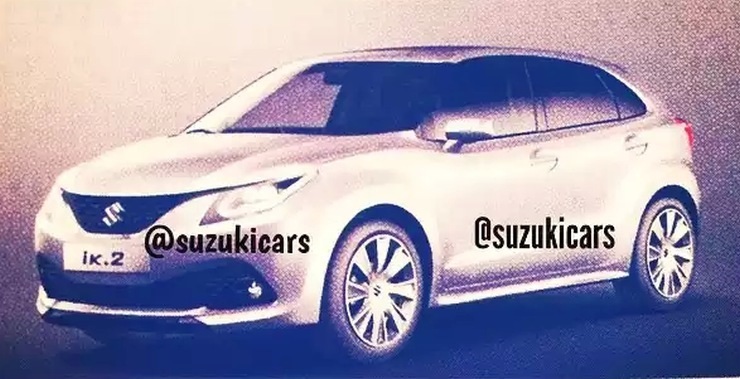 The other big leak involves the Suzuki iK-2 concept, a premium hatchback that’s currently code-named the YRA. The YRA hatchback will sit above the Swift in terms of price and positioning in India, and will take on the likes of the Volkswagen Polo GT twins, the Hyundai i20 Elite and the upcoming Honda Jazz. Expect pricing to start at over 5 lakh rupees. Pitted to be Maruti Suzuki’s most expensive hatchback ever, the car is likely to use a turbocharged line up of petrol and diesel engines. A 1 liter-3 cylinder turbocharged, petrol motor based on the K10 K-Series unit is likely to power the car, and in the process could become the first turbocharged petrol engine on a Maruti Suzuki offering. The diesel engine will be the tried and tested 1.3 liter Fiat Multijet unit that does duty on multiple Maruti Suzuki cars. Power and torque outputs for both the petrol and diesel engines remain unknown at this point in time. Both manual and automatic transmissions could be offered on the petrol variants of the car, with the diesel likely to make do with a manual gearbox.